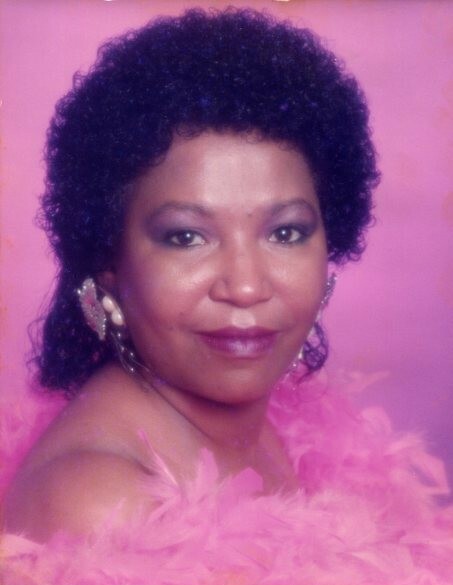 Mrs. Joyce Ann Tucker-Ficklin was born to the parentage of Mr. Ephriam Tucker, Jr. and Mrs. Mary Zena Kitchens-Tucker on September 28, 1958 in Washington County. She was preceded in death by her parents, her brothers, Richard Tucker, Jessie Tucker and Bobby Tucker. Her brothers-in-law, Arthur Leslie, Jr., Nathaniel Leslie, Sr. and Leon McCrary. Her sisters-in-law, Mary Lou Pitts, Virginia Lesley, Rochelle Leslie and Georgia Ann Leslie. She was the middle daughter of fourteen children. Mrs. Ficklin attended school in Washington County and Hancock County. She worked as a machine operator at Health Tech/Zorlu in Warrenton, Georgia for twenty-two years and L’il Roundup in Sparta, Georgia before becoming ill. Mrs. Ficklin was a loving lady with a zest for family and friends. A devoted wife to Mr. Charles Allen Ficklin, and for over forty years their love stood as a bright light for everyone to see. A kind mother of three children, Derrick Deuntray Ficklin, Reggie Allen Ficklin and Charles Lamont Ficklin. Mrs. Ficklin leaves to cherish her beautiful memories: Charles Allen Ficklin of Mitchell, GA, Derrick Deuntray (Evelyn) Ficklin of Sparta, GA, Reggie Allen Ficklin of Augusta, GA and Charles Lamont Ficklin of Mayfield, GA; seven sisters, Tressie (Eddie) Dixon of Tennille, GA, Catherine Duggan, Emma Morse, Ruby Ingram and Patsy (Johnnie) Gilbert all of Mitchell, GA, Mary (Fred) Warthen of Sparta, GA and Patricia (Keith) Banks of Warrenton, GA; three brothers, Roy Lee (Lois) Tucker of Mitchell, GA, Ellis Tucker of Warrenton, GA and Ernest Tucker of Thomson, GA; three sisters-in-law, Viola Leslie of Augusta, GA, Brenda (Christopher) Wright of Atlanta, GA and Jacqueline McCrary of Covington, GA; brother-in-law, Harvey Leslie of Sparta, GA; four grandchildren, Memphis Kaden Ficklin, Chase Lamont Ficklin and Be’onca Renice Giles all of Sparta, GA and Rodriques Demond Giles of Atlanta, GA; great grandson, Lawrence Marice Jones of Sparta, GA, as well as a host of nieces, nephews, other relatives and friends.